On March 28th, PICRC released a report documenting the results from the baseline socio-economic study conducted in Koror State. This study was designed to assess the community’s perceptions of their Protected Areas Network (PAN) sites. The results of this study can be used by Koror State PAN Office to guide their outreach and awareness program. Often, the success of a marine protected area is determined by the evaluation of ecological and biological indicators. While these are important factors, understanding the human dimension of conservation is a critical component of effective marine management. Community support for marine protection can play an instrumental role in the overall well-being of a site. Last summer, PICRC Researchers administered a household questionnaire across the state of Koror to gauge community involvement, knowledge, and understanding of their conservation areas. 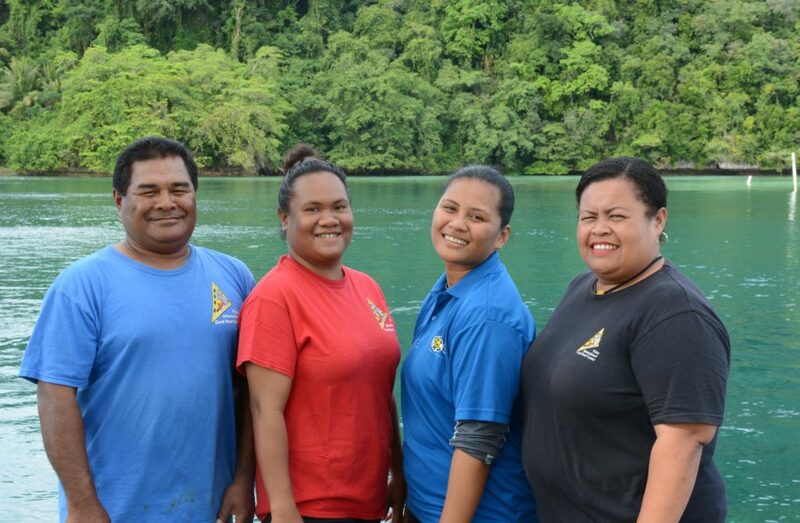 Researchers found that Koror State respondents were quite knowledgeable of the PAN conservation initiative; however, almost half of those interviewed were unaware of Ngerukewid Island Wildlife Preserve and Ngerumekaol Spawning Area, two of Palau’s oldest MPAs. Limited participation among the community, in outreach activities and decision-making processes, could be part of the reason why community members were unfamiliar with these conservation areas. This finding indicates a need for increased engagement between the Koror PAN Office and the community. Continued socio-economic monitoring is essential to understanding trends and changes over time and will allow the Koror State PAN Office to adaptively manage its conservation areas. A copy of this technical report is available on PICRC’s website at www.picrc.org and the PICRC library. For more information, please contact Ines Kintoki at the PICRC library by email at ikintoki@picrc.org or calling her at 488-6950.